It has been over a week since I’ve been able to find the time to create. 😦 I’ve been itching to get into the paper, inks and glues. Alas, I’ve had other obligations. So this afternoon I sat down to relax and create. 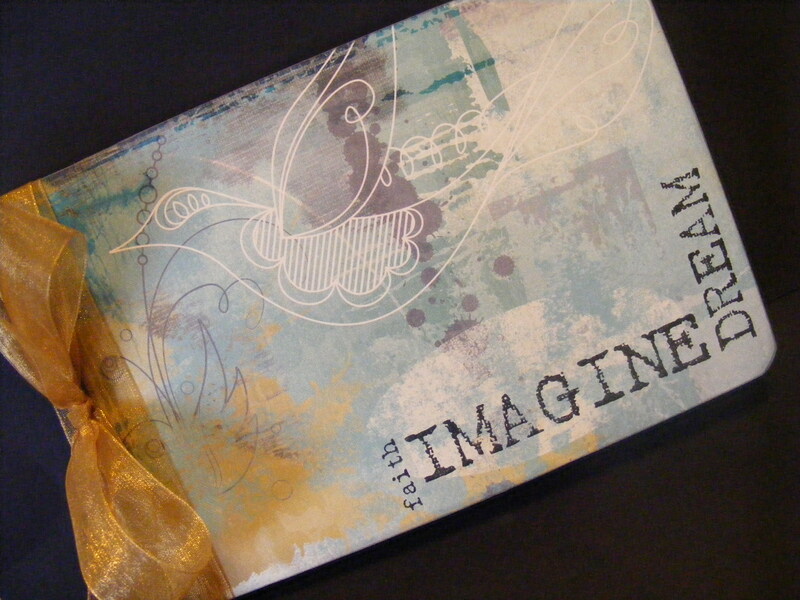 This is another journal made out of half of a composition book. I can’t get enough of these journals. They are perfectly sized… approximately 7-1/2 x 5 inches… not too big and not too small. They fit perfectly in your purse or backpack. It is super easy to make. 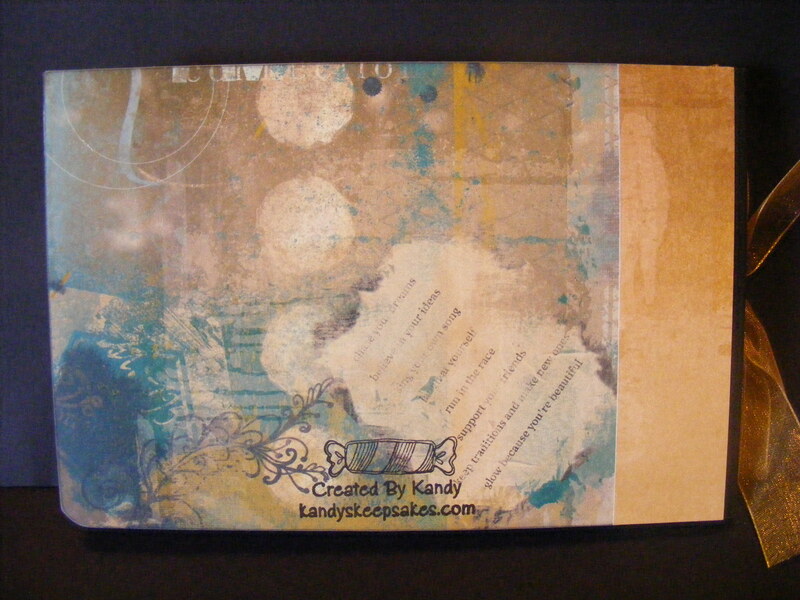 I cut the cardstock to size and paste it to the outside and inside covers with YES paste. I used a fine sanding block to remove any paper or glue residue from the cover’s edges once the paste has dried. (I usually let mine set a couple of hours.) I then dragged the edges in Charcoal Palette ink to cover any imperfections. I wrapped the gold organdy ribbon around the cover twice and tied it in a bow. I stamped the three words on the front cover in Noir Palette ink. That’s it… super easy! All stamp supplies are from The Angel Company. This entry was posted in Notebooks & Journals & Diaries and tagged diary, Journal, notebooks, Paper Arts, Paper Crafts, scrapbook paper. Bookmark the permalink.